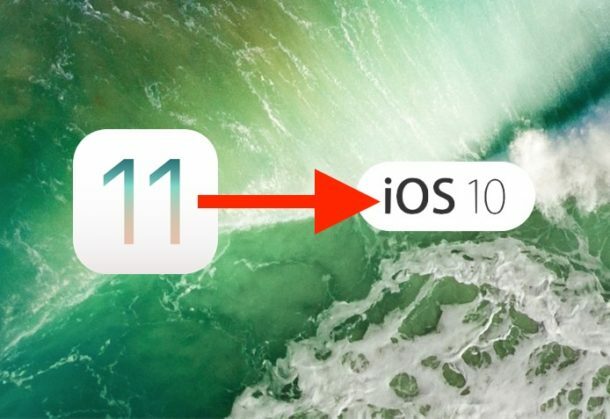 Did you install iOS 11 beta onto your iPhone or iPad, but now want to downgrade to iOS 10 and revert to a more stable system software version? You’re likely not alone. Fortunately just like it’s easy to install iOS 11 beta right now (even without a developer account), it’s also easy to downgrade iOS 11 back down and revert to iOS 10. In this tutorial we will demonstrate downgrading iOS 11 beta back to the most recent stable iOS 10.3.3 build. Downgrading iOS 11 beta is pretty easy. 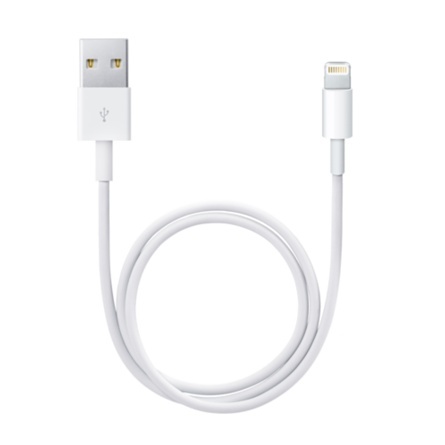 You will need the following: a device running iOS 11, a signed version of iOS 10 IPSW, a modern release of iTunes on a Mac or PC, a USB cable, and an internet connection. That’s about it. We will show you the the simplest method to downgrade iOS 11 beta back to iOS 10. Downgrading does not require using recovery mode or DFU mode unless the iPhone or iPad is not able to boot or is bricked by a failed software update. You should have a recent backup available of your iOS device to avoid potential data loss. Note that iOS 11 backups are not able to be restored to iOS 10, so if your most recent backup is from iOS 11 then you will not be able to restore that to a downgraded iPhone or iPad. Downgrading iOS 11 back down to iOS 10.x.x may take a while, depending on the size of your iPhone or iPad and how much stuff you have on it. Note that if the downgrade fails for whatever reason, you can also choose to alt/shift click on the “Restore” button but in doing so the device will be restored and setup as new. If you have the iOS 11 public beta installed, and you wish to downgrade back to iOS 10, you will need to downgrade to iOS 10.3.3. Only iOS 10.3.3 is being signed by Apple, thus that is the version you must downgrade to. Finally if the downgrade process bricks or the iPhone or iPad gets stuck on an Apple logo or something similar, that is when you would want to go a step further and put the device into DFU mode (you can read how to put iPhone 7 into DFU and how to put other iPhone and iPad models into DFU mode too) or recovery mode and then attempt to downgrade and restore the device again – this is pretty rare and should not be necessary for most simple uncomplicated downgrade situations. Do you have any tips, tricks, advice or comments about downgrading from iOS 11 beta? Let us know in the comments! Since I’ve downgraded from 11 to 10, my Find my iPhone function will not work anymore. He will not remember the option if I put it on. Thank you verry much, i was stuck and searching for any solutions because i just forget my backup password ! My iOS 11 beta is really buggy and I’m on a brand new iPhone 7plus. I’m stressing out and I want to go back to the original publicly available iOS’s. If I revert to iOS 10, will it be like I never did iOS 11 beta and will I still get the updates? So I was on IOS11 and wanted to come back on IOS 10.3.3. Downloaded IOS 10.3.3 IPS file from the legit website started the process of going in recovery and Updating the phone with the file I downloaded and waited for 30 mins to see that I have lost Notes – SMS/iMESSAGES – my entire music library and I have been signed out of all the apps. Restore from an iOS 10 backup to get the data before the iOS 11 update to return, that is the best course of action. I have used a tool named Reiboot to downgrade my iPhone from iOS 11 to iOS 10.3.2, much easier, with only one click, my iPhone back to iOS 10.3.2 soon. I try to downgrade my iPhone 7, but it stuck at recovery mode, finally the free Reiboot solves my problem. if don’t want a beta jus download a ios 10.1 ipsw file this happens because a beta phone does not support a ios 10.3 version or later later downloading it you can upgrade it to ios 10.3 use itunes for this process 3rd party app can corrupt your i phones rom. I couldn’t restore to iOS 10.3.2. My iPhone would boot into recovery mode after iTunes has completed the restore. If you are currently running iOS 11 beta: For devices that currently have iOS 11 beta installed, you must restore 10.3.3 beta. Download the iOS 10.3.3 beta software restore image for your device from the download page. Thanks GOD. this worked for me. thanks for sharing the solution. After ground grading to iOS 10.3 my iPhone 6S got stuck in recovery mode. Cannot do anything. It loop back to recovery mode. I am helpless. after doing this process, I cannot open iBooks, nor are my Messages intact. How do I fix this without a Backup? Open iTunes or iCloud and restore from the iOS 10 backup you made. You need to restore from an iOS 10 backup. If you don’t have an iOS 10 backup you will have to stay on iOS 11 if you don’t want to lose any data.